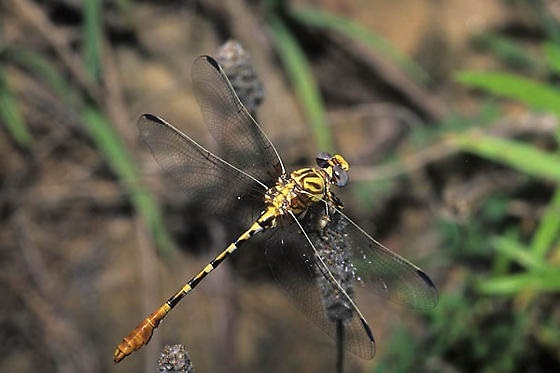 Dragonflies have been known by colorful names such as "devil's darning needles", "horse stinger", "eye sticker" and "mule killer" but these winged insects are incapable of stinging and are quite harmless. In fact, these flying insects are helpful to humans by eating mosquitos, gnats, winged ants, winged termites and other insects that are nuisances and sometimes harmful. Adult dragonflies are voracious predators. They will eat just about anything they can catch on the wing and generally devour their prey in flight. Larger prey such as damselflies, other dragonflies, and even butterflies are taken to a perch to be eaten. Dragonflies perch with their wings spread flat and regulate their body temperature by assuming various postures. Males and females are sometimes distinguished by different colors and patterns. In some species, individuals change colors with age and season. In general, males are more brightly colored than females. In North America there are 307 species of dragonflies of which 160 species have been recorded in Texas. 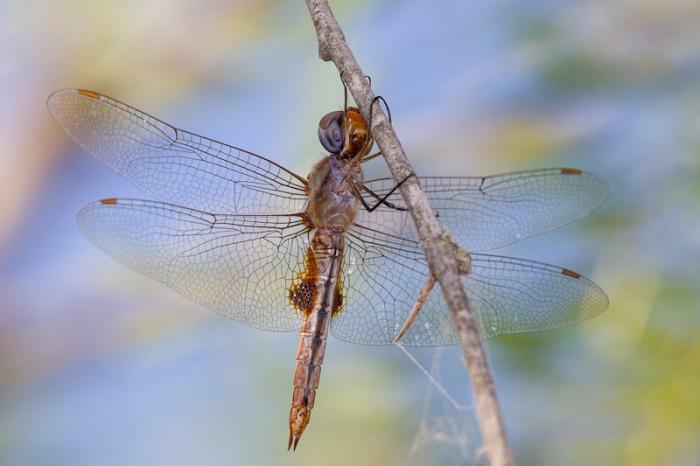 Visit this link for more information on dragonflies in Texas. 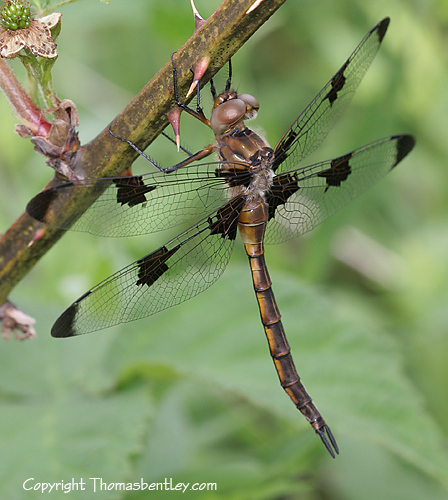 BELOW ARE SOME OF THE DRAGONFLIES THAT CAN BE SEN AT WEST 11TH STREET PARK DURING THE YEAR. CLICK ON THE EACH TO LEARN MORE. 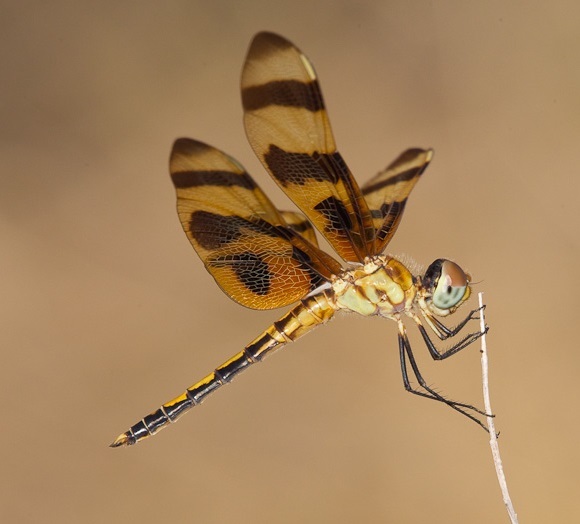 Visit this site to learn more about Odonata species in Texas.